Coaches from around the world share drills, favorite books and quotations. This booklet has 133 submissions with 4 drills each along with the quotations and recommended books, so it is over 500 pages. 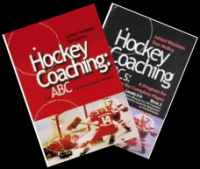 A coach can copy and paste from the pdf drill and game files and then save as; a new title to plan and share practices. This is a great kids passing drill, that teaches them to move and get into position after making a pass. Also teaches them offensive positioning. Will like to use this drill at the end of practice, as the cool down section of the ABC model. The level 0-1 videos are in the video section.